Today, man-made constellations are in orbit. Their purpose is to provide instant, exact and global positioning information. This global positioning system of GPS is revolutionizing the modern construction sites, automating and guiding land surveying equipment, providing instantaneous circles and volume gap, simplifying total and controlled surveys. 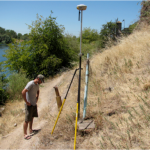 Nearly everyone involved in the land surveying and construction industry has heard something about satellite positioning technology or maybe you or someone you know is already using it. Whether an operator or a casual observer, there are still many questions about how this exciting system really works. These positioning satellites don't stay in one place like the stars; they orbit the earth about twice a day. Constantly transmitting uniquely identified radio signals that can be perceived by specialized units on earth. These signals are used to precisely measure the distance to the receiving instrument from each satellite visibly overhead. Even the planned signal modernization to the GPS satellites won't solve this problem. An obstruction that blocks one signal blocks all signals from that satellite. 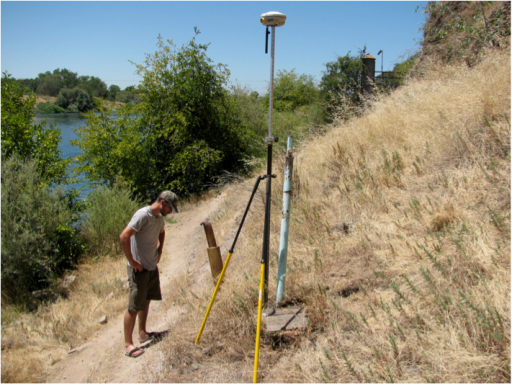 A land surveying equipment provider has solved this problem. The solution isn't adding more signals from the same satellites; it's adding more satellites. For an up to date and accurate land surveying service, contact Montgomery Land Surveying at (334) 625-9540 or better yet, you may fill out our contact form request and a licensed land surveyor will contact you.